Leaders of the Gorkha Rastriya Congress (GRA) have claimed that Darjeeling MP SS Ahluwalia has advised them to prepare a ‘detailed project’ on their demand for Darjeeling’s merger with Sikkim as “the best” solution to the Hill problem. According to GRC leaders, the MP, who is also a top BJP leader and the union minister of state for drinking water and sanitation, has assured them that he would “forward and advocate” their issue with other central ministers as well as the Parliament. Notably, a team of GRA leaders led by party president Bharat Dong met Mr Ahluwalia at his Siliguri residence on 17 February, where they put forth the demand for Darjeeling-Sikkim merger. GRC leaders told here on Monday that Mr Ahluwalia gave them a patient hearing. 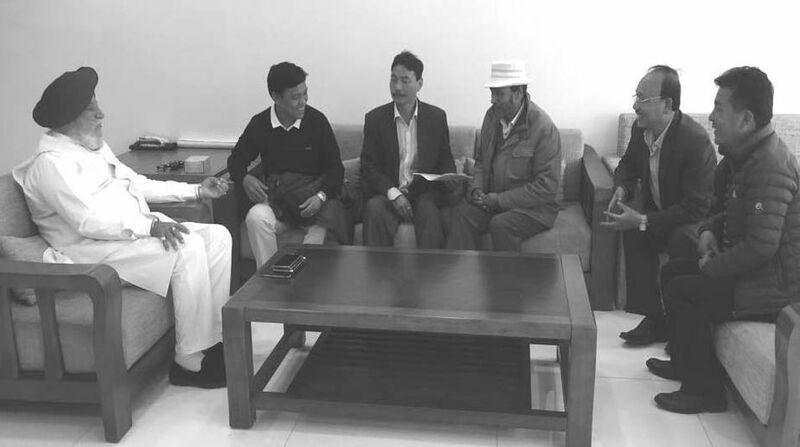 “He advised us to prepare a detailed and visionary project by including all the different aspects of the Sikkim-Darjeeling merger demand, so that he can advocate the issue with other central ministers as well as in the Parliament,” Mr Dong said. He further said that his team told Mr Ahluwalia that he was the Darjeeling MP and that he has every right to visit his constituency. Mr Dong referred to statements issued by GJMM leader and GTA board chairman Binoy Tamang, saying that the MP is not welcome in Darjeeling. “Instead of criticizing Ahluwalia’s absence and absence of other BJP leaders in the Hills during the last Gorkhaland agitation, the regional party and the people of the Hills should find out the root and actual cause of their absence,” Mr Dong asserted. He added that the regional parties and people of Darjeeling should understand that the issue of Gorkhaland has already been made clear during the 1986 agitation. “In 1986, it has already been cleared that Gorkhaland is not possible, but despite this, the Hill leaders and people are still pursuing the issue,” he said.